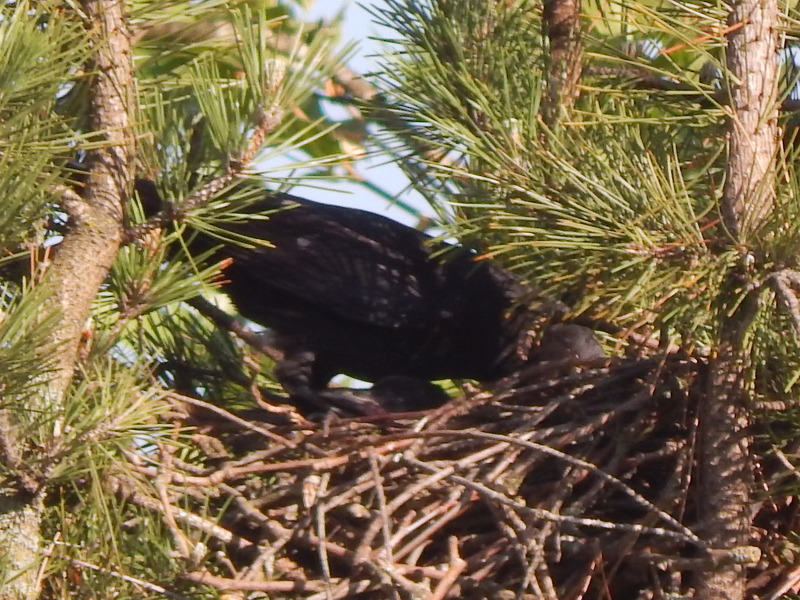 This last week the two baby crows in the pine tree out my window continue to grow quickly. I noticed the oldest is darker now and looks less like a hairless bird. His beak isn’t quite as big in comparison to his body either. When you see the two babies side by side as in this short video, you can see how the elder is larger and has more feathers. Amazing what even a few days difference in their hatching can make. 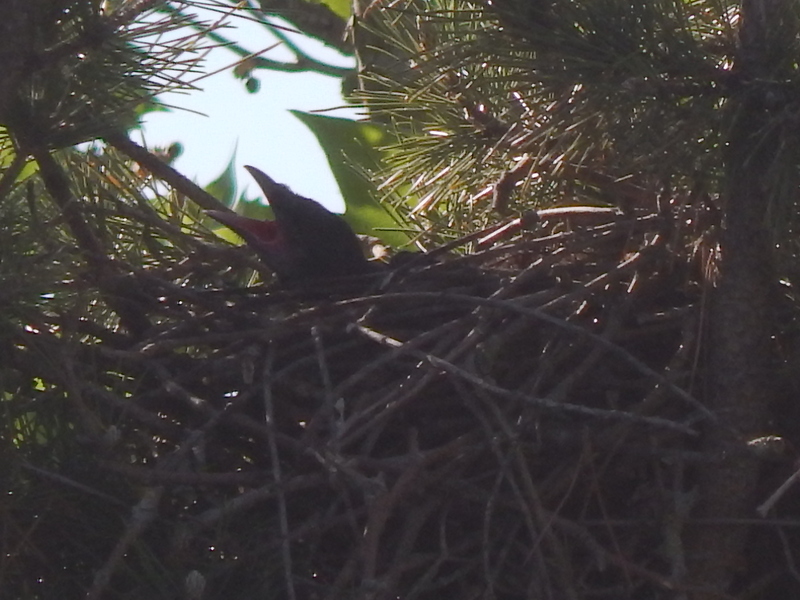 It must be getting tight fit in that nest and they are not even half way to adult size. Have to imagine all hell will break loose in another week or two. This next series of shots shows parent and babies interacting. 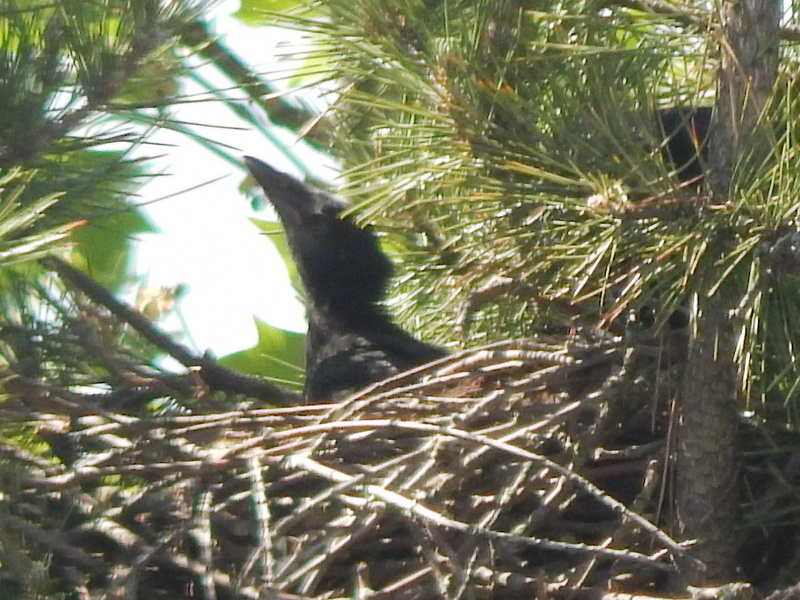 This pair of adult crows are working their tail feathers off to keep their brood fed and groomed. Both show up together at times confirming that they are working in tandem. I have not seen a helper watching in the trees close by. That is fairly common but my pair in Renton are on their own. Been away for 5 days on vacation/holiday, so I am excited to get back to work on Tuesday to see how they are doing. Word of caution for both myself and all of you. 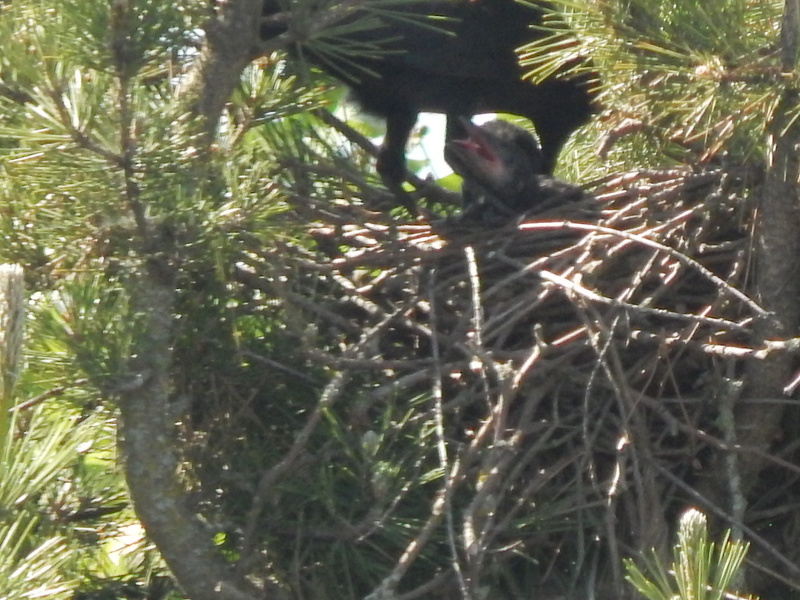 Baby crows are fragile. I try hard to contain myself and not get too attached. One stroke of bad luck is all it takes. That is why I had a nightmare weeks ago of a cat climbing their tree. The parents were dive bombing when I work up with a start. See this crow stalker is really part of the murder.